Insult to the Indian National flag by 'spiritual leader' and self proclaimed 'GOD' Mataji Nirmala Devi. This is what Wikipedia has to say about this issue. On 17 August 2005 the official Sahaja Yoga website reported that, on the eve on India's independence day, "an Indian flag was offered to Her and a prayer was recited for the divine blessings and protection of India." 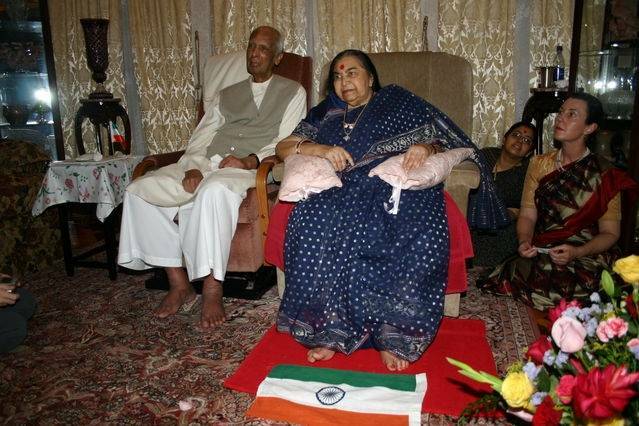 In 2007, two images showing the Indian national flag at the feet of Niramala Srivastava (with her husband seated beside) were circulated causing shock and outrage. Going by amendments introduced in 2003 to India's 1971 Prevention of Insults to National Honour Act, which specifically mention allowing the national flag to touch the ground or the floor, this was a punishable offence. Following this upsurge of anger, Rajendra Kumar, a trustee of Sahaja Yoga Trust issued an apology on behalf of Nirmala Devi stating that the Sahaja Yogis have the "highest and deepest respect" for the National Flag. The apology further stated: “ Possibly, at an Independence Day function held abroad, some foreigner Sahaja Yogi brought our Flag and without meaning any disrespect, kept it on the ground. The Flag was respectfully removed immediately on being noticed. 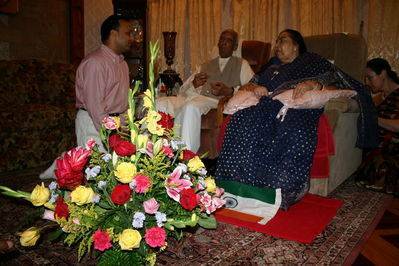 Shri Mataji Nirmala Devi asks us all to respect the National Flags of all countries. This unintended but serious mistake is greatly regretted. Not even the slightest disrespect to our National Flag will ever be tolerated. To all those whose feelings have been hurt by this wholly unintended and unfortunate error, we express the assurance that we fully share their anguish and we extend our deeply felt and sincerest regrets and unqualified apologies."